Ultimate Guide to Chinese Zodiacs - Who Won The Chinese Zodiac Race? 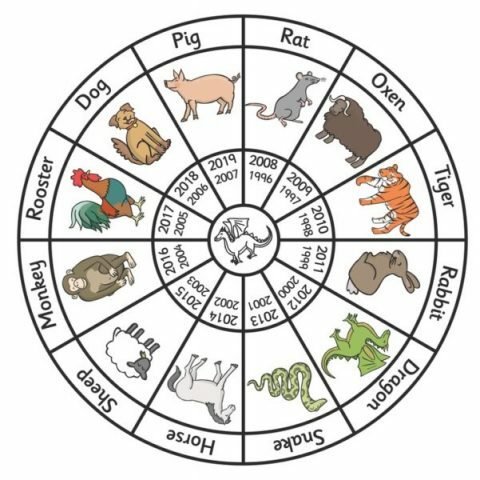 Have you ever wondered about the origin of the Chinese Zodiac animals? Have you also wondered why the order is the way it is? Because the order that the animal zodiacs appear in is not random! 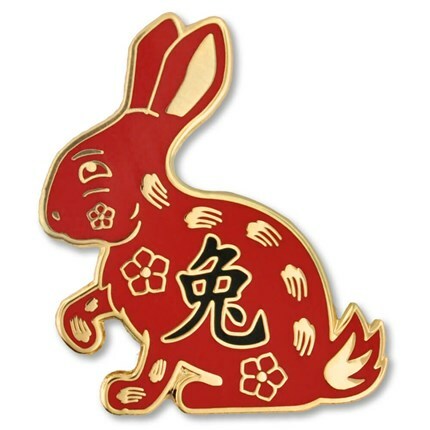 The Chinese zodiacs consist of 12 animals, each representing a year. Every person is represented by the animal of their year of birth, as the graphic here shows. The year follows the Chinese lunar calendar. The Spring Festival, or the Chinese New Year signifies the end of one year, and the start of the next. 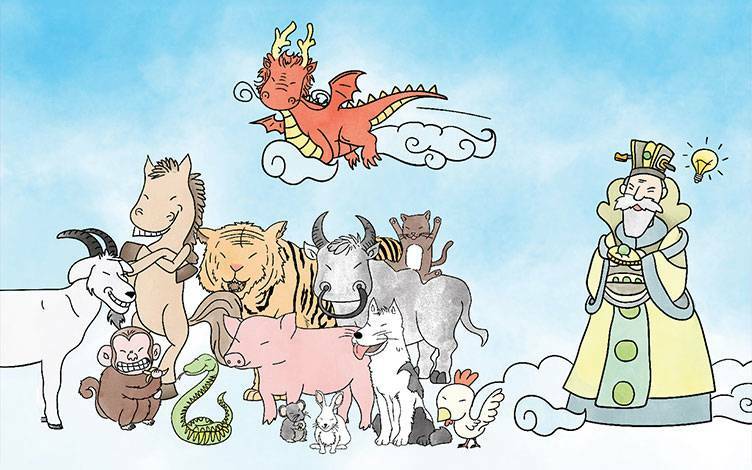 We will first tackle the origin myth of the Chinese Zodiacs, the story about the great Chinese Zodiac Race. After that we will have short outline about the actual historical origin of the zodiacs. A long time ago, there were no Chinese Zodiacs. DID YOU KNOW – The Jade Emperor decided to host a race for all the animals in the world where the 12 highest placed animals would be accepted as Zodiacs. The higher they’d place, the better position in the Zodiac they would get. Part of the race route was a wide river with a strong current. Back then, the Rat and the Cat were good friends and they decided together that when they get to the river, they would jump atop the Ox and attack the river that way. They got up early, got to the riverbank and waited for the Ox. As the Ox came close, they leaped on the Ox’s back. The Ox being a diligent creature, did not mind the two stowaways. In the middle of the river, the Rat suddenly moved atop the Ox, which pushed the cat off the Ox’s back and into the river. The Ox and the Rat continued to the other side without the cat. DID YOU KNOW – To this day cats hold a grudge against all rats, and is why they are afraid of water. As the Ox and the Rat neared the finish line, the Ox was going to come first. But at the last moment, the Rat ran across Ox’s back, jumped off in front of Ox and ran across the finish line first. Mr Ox came second. The Ox was too mild mannered to care about coming second and did not make a fuss. Back at the river edge, with a fierce leap, Mr Tiger jumped out of the water. Usually one of the fastest runners, Tiger’s fur was heavy with water. Weighed down by the liquid, and leaving deep paw prints through the soft mud, Tiger ran with great effort all he could, but 3rd place was the best he could manage. 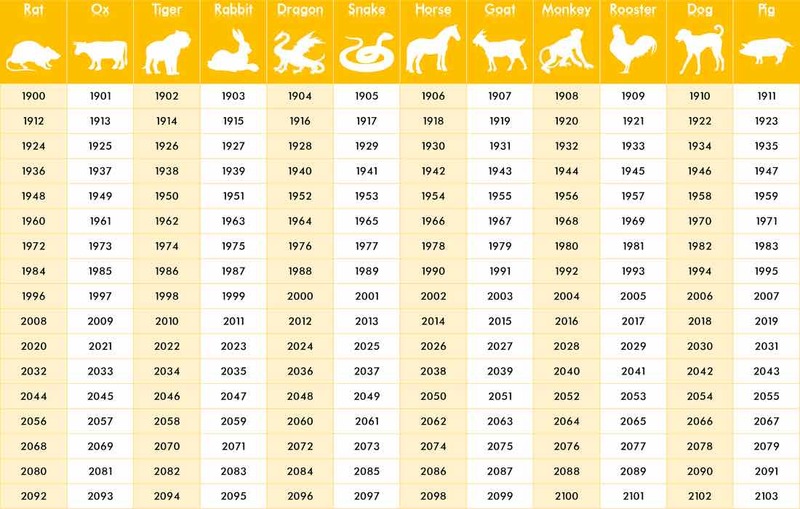 Chinese Zodiacs by year – Which one are you? The Jade Emperor stood by the finish line as the animals crossed the line. Rat, Ox and Tiger would be the first three Zodiacs he proclaimed. Not far behind Tiger, was Rabbit. Rabbit, despite her small stature, had managed to valiantly keep up with Tiger up until the river. Now Rabbit was sat on a rock in the middle of the river, plotting her route. The next rock was far away, and a risky jump. However, she needed to move. If she didn’t some of the other animals might take the fourth place! Rabbit took a deep breath, readied her legs, and just as she was about to jump, her hind legs slipped and she tumbled into the dark cold water. Surely this is the end, she thought. Before Rabbit could finish her thoughts, she spotted a log on the surface. She swam up, climbed up on the log which floated to the other side. Back on solid ground, Rabbit cast a glance behind her, no other animal was in sight. Rabbit sprinted the last distance to the finish line, and took fourth place. Instead of stopping and greeting the Jade Emperor after crossing the finish line, she ran into a nearby forest, and laid down under a tree. Relief soon replaced the disappointment of coming fourth in her mind. A short while later, at the finish line, the clouds parted, a loud whooshing noise was heard, and then the majestic Dragon came down from the skies, and was the fifth animal to cross the finish line. But why only fifth, the Jade Emperor wondered, shouldn’t Dragon, who has the ability to fly be able to easily come in first? Dragon explained, before he got to the river he heard screams which came from a group of villagers caught in a blazing fire. “They had no chance if I had not helped them, and even though my spot on the Zodiacs was on the line, I could not just leave them” he continued. “I flew over to help them, and with my cold breath I extinguished the flames like they were a candle” he explained to the Jade Emperor. The Jade Emperor was very familiar with Dragon and his personality. First or fifth, the Jade Emperor was very proud of Dragon. Soon after, loud splashing noises were heard from the river. It was Horse, she was valiantly galloping through the river, Without missing a beat, she got on land and continued her gracious gallop towards the finish line. Right before the finish line, something slithered in the grass, and Snake slid out, right in next to Horse. Horse was startled and reared up, Snake used this to his advantage and slithered across the line in sixth, with Horse coming in seventh. The Jade Emperor smiled to himself, and thought how smart Snake was playing to his own strengths. Back at the river, there were three animals aboard a raft sailing across the river. They were Rooster, Monkey, and Sheep. They all arrived at the river at the same time, and Rooster had found a raft on the rivers edge. It was hard work, the three of them paddled as hard as they could, using makeshift ores made out of branches and leaves. The ores would often get stuck on underwater rocks, or in the weeds growing on the bottom. Nevertheless the three of them made it across. DID YOU KNOW – On the shore, Monkey and Rooster decided to let Sheep cross in eighth place, she not only inspired and comforted the two others, but she also helped foster close bonds of friendship between the three of them. Without these bonds, and this friendship they would not have made it across the river. It was only right for Sheep to take eighth place. Monkey took ninth, and Rooster came in tenth. Her coat soaked, and her tongue flailing, Dog scrambled across the finish line in 11th place. Dog was a quick runner, and a decent swimmer, so what happened, why did she come in second to last? The day of the race was a beautiful, sunny day. The sun had been shining all day, when Dog arrived at the river, the water was so pleasant and so warm, that she overindulged, playing and swimming in the water without a care in the world. Having forgotten the time, 11th place was the best Dog could do. From the forest a loud “oink!” was heard. It was Pig, who waddled across the finish line, his skin caked in mud. For being such a large animal with tiny feet, Pig moved surprisingly fast. How then could it happen that a fleet footed animal such as Pig would come in last, the Jade Emperor enquired. The Jade Emperor was happy, the race had concluded, and he had his 12 zodiacs. The Jade Emperor smiled, looking down at Pig, who lied down where he had stood, and fell fast asleep. Like many myths and legends, there are several variations on the Great Race story, although the main point remains the same. In some versions it is Buddha and not the Jade Emperor who hosts the race. Sometimes the finish line is the Heaven’s Gate, and it is a race to get to heaven first. And other times, the race is to get to a large banquet, and not a race for racing’s sake. Some stories also do not include the river. The animals’ behaviour also varies slightly. Often the cat is not included at all. Sometimes the snake actually rides the horse similar to how the rat rode the ox in this story. The dragon sometimes helps out with floods, and not fires. Sometimes “sheep” is rather translated as “ram”, while “rooster” is a “chicken”. Nevertheless, the order the animals finish always remains the same. Another thing which also remains the same is the general personality of the animals, the clever rat and snake, the heroic dragon, the composed ox, the playful dog, and so forth. 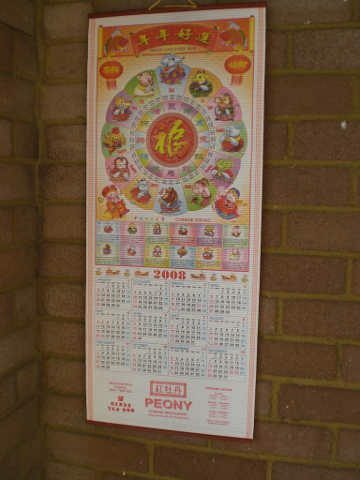 A Chinese lunar calendar, combined with a Gregorian calendar. 2008 was the year of the rat. Obviously there was no real great race, so how did China end up with the Zodiacs? The Zodiacs came from the west, from Tibet, India, and Nepal together with Buddhism during the later Han dynasty (around 150 AD). We know that the Zodiacs were very popular during the Tang dynasty (618 – 917 AD). The other theory is that the Zodiacs predate Buddhism in China, and evolved from the ancient Chinese astronomy which puts the planet Jupiter at the centre. There have been found pottery fragments dating back from the Warring States period (475 BC – 221 BC). Jupiter’s orbit around earth takes 12 years, so it would fit with the 12 zodiacs. 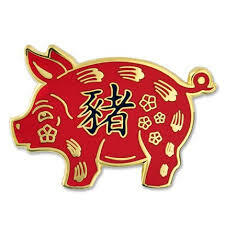 The reason the Zodiacs are such an important part of Chinese culture first of all is because they played an important role in satisfying the spiritual needs of an agrarian society. But also, astronomy (and astrology) was important for the Emperor. The Emperor needed to be accurate in astronomical matters to be able to rule well and with prestige. Astronomy was also necessary to ensure peace and harmony for everything under the heaven. 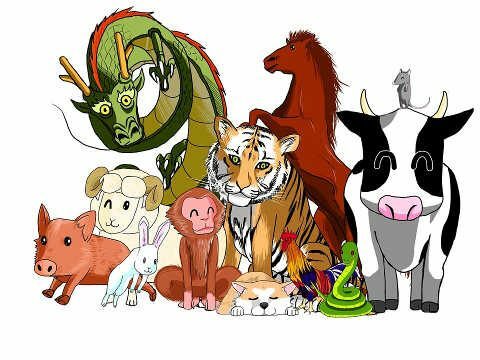 Chinese Zodiacs – Which Chinese Zodiac am I? Are you an Ox, or are you a Snake? Are you the coveted Dragon, or the playful Dog? There are 12 animals, so let’s see which one you are. 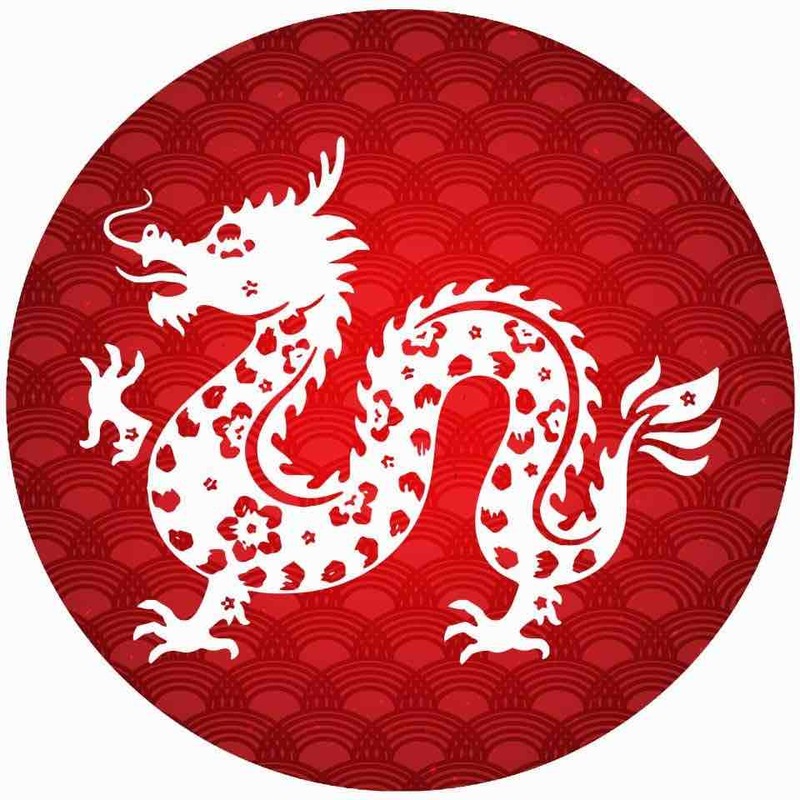 How do I know which Chinese Zodiac I represent? Simply match your year of birth into this table. So for example if you were born in 1988 you are a Dragon. If you were born in 1971 you are a Pig. 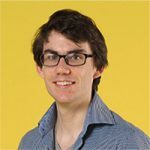 ICYMI – If you like what you see regarding Animals in Chinese, try out our blog which literally translates Chinese Animal names into English. There are some excellent results!